Our recent textile study tour took place over nine days. 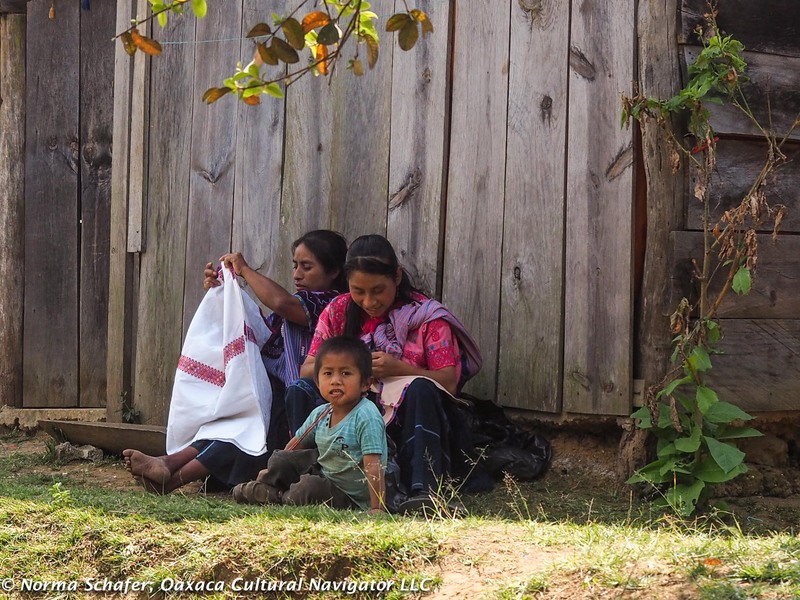 We were based in San Cristobal de las Casas, Chiapas, Mexico, with so much to see and do, and no time to write!. 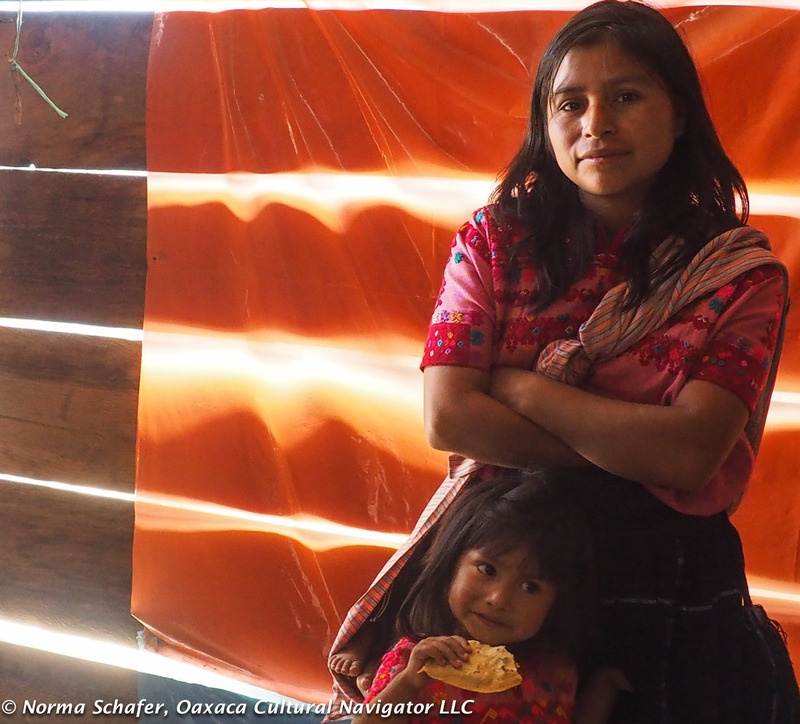 I’m going to start now with one highlight that happened in the middle: a visit to Magdalena Aldama, Chiapas. 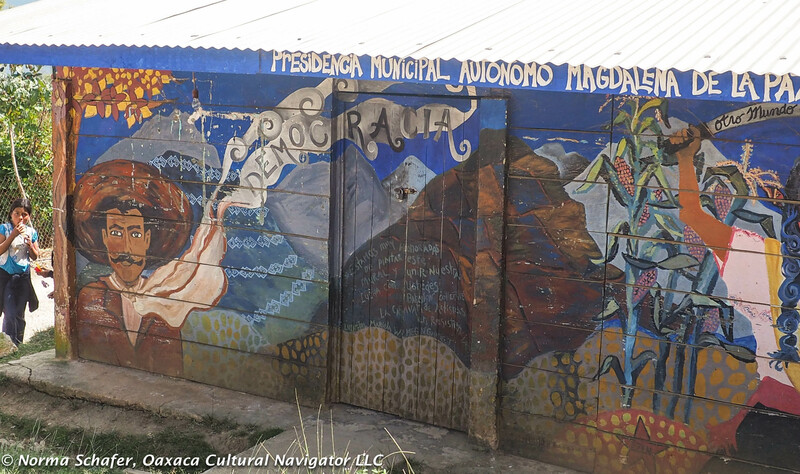 Some of us know this village, about two-and-a-half hours from San Cristobal, as Magdalenas. Others call it Aldama. It is one and the same. Officially, it is known as Santa Maria Magdalena. Indigenous justice and liberty are elemental here, as is native Non-GMO corn. It took on the name Aldama in 1934 in honor of Mexican insurgent Ignacio Aldama. 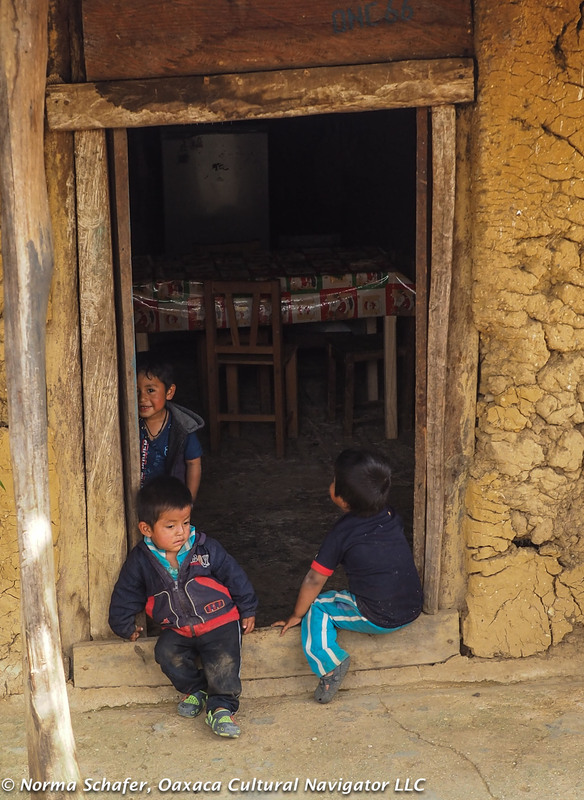 This is a Tzotzil village strongly aligned with the Zapatistas. Not many foreigners show up here. 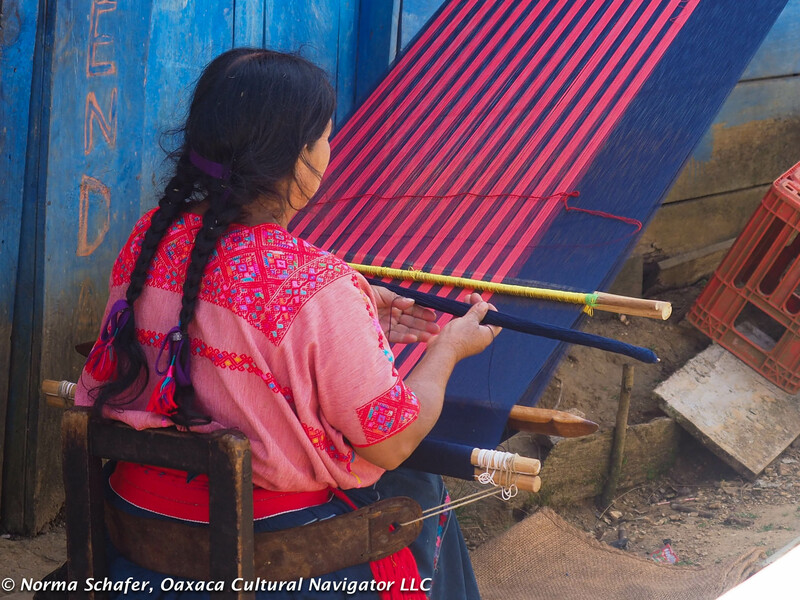 Without an introduction to a family, it would be difficult to know where to go to see extraordinary back strap loom weaving and intricate embroidery that the women here are known for. We pulled up to the village zocalo and parked near the church. Cristobal was waiting for us and took us to his family home where his wife Rosa greeted us. 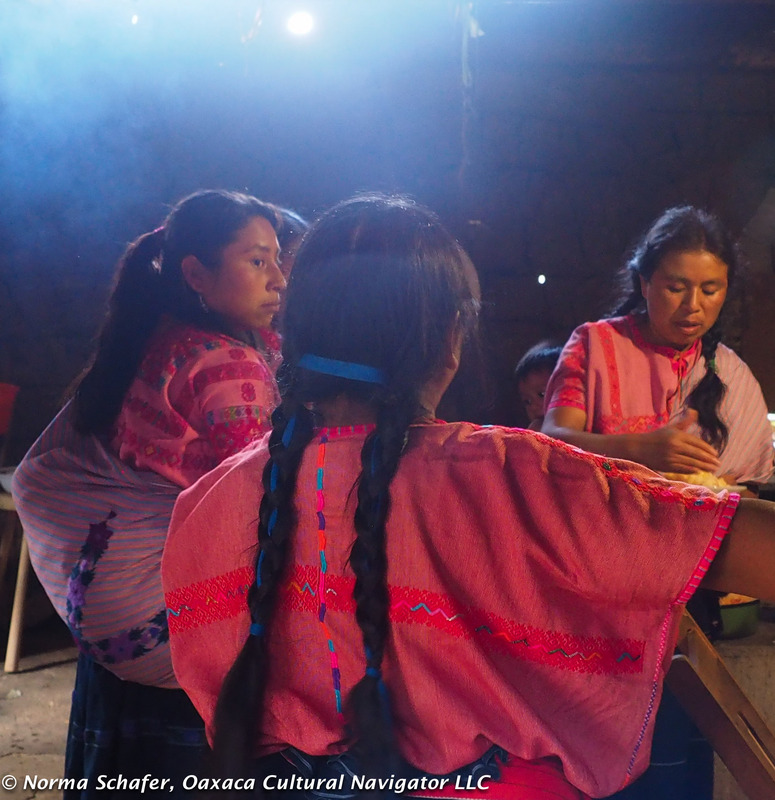 She was joined by family members who were busy weaving and doing fine stitching, surrounded by children. This would not have been possible without our knowledgeable guide who arranged the visit through an anthropologist friend who has been working here for some time. 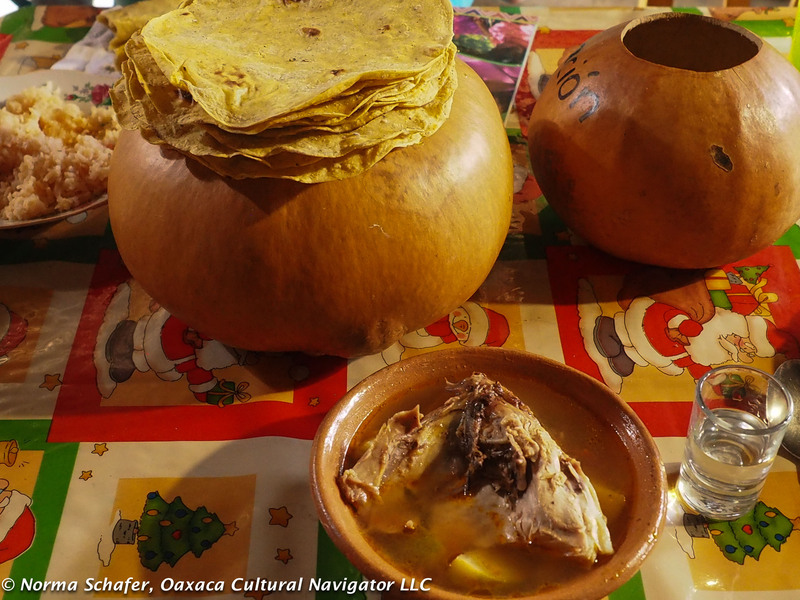 After demonstrations and a stunning expoventa of very fine work, the family invited us into their kitchen where they prepared Caldo de Gallina over a wood fire. They make the soup from organic free-range chicken and fresh local vegetables. The tortillas come hot off the comal. We toast the day with posh, the local fermented drink made from corn and sugar cane. 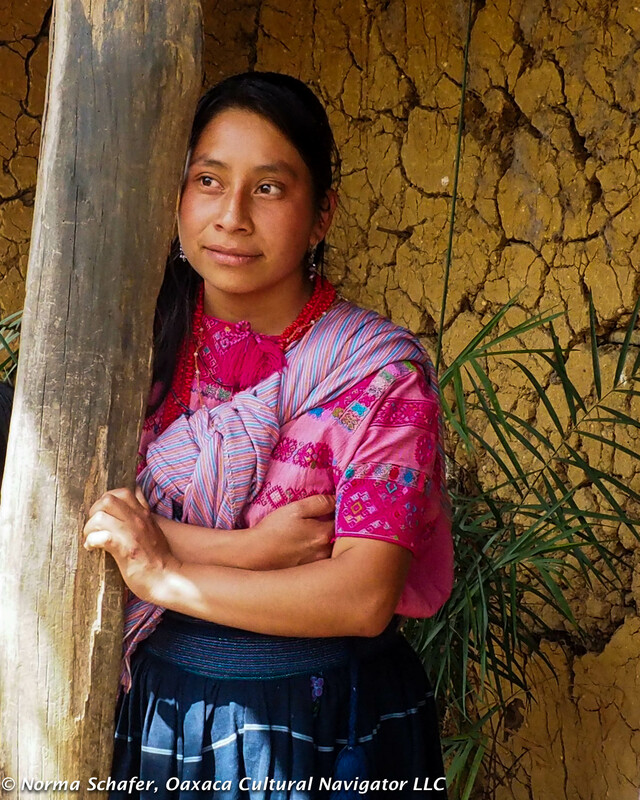 Indigenous rights are fragile. People here take a stand for themselves. Viva Zapata! Women work hard here, staying close to home. Tending babies, preparing meals, cleaning up, weaving, sewing. Extended families live together in the same household and next door. I saw no young men and assume they were in the fields tending to vegetables or herds of cows. Or, perhaps they were in El Norte USA trying to make a few dollars to send home. At 20 pesos to 1 US dollar now, it’s an economic advantage to go north to work. Regardless of what Agent Orange says, families do not like to be separated. They do it out of necessity. 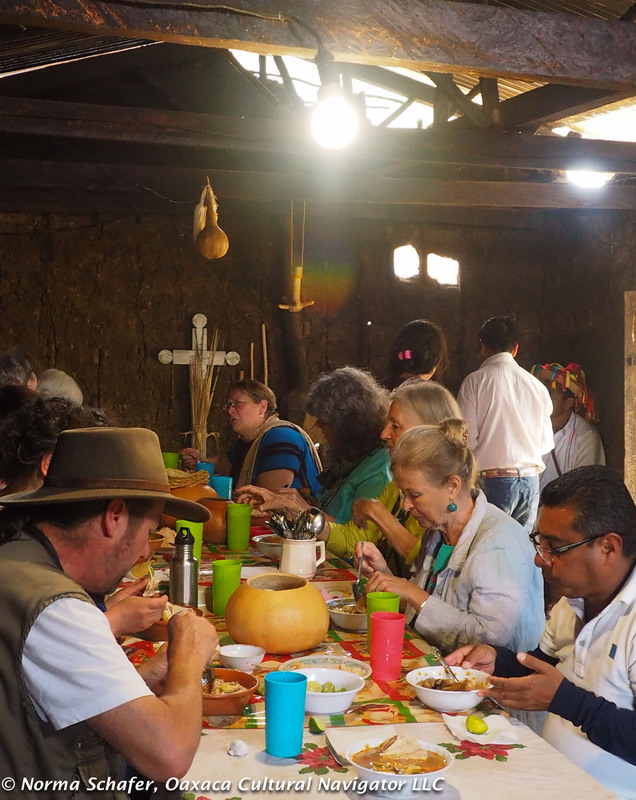 Since the village is not frequented by tourists, we had a social call by one of the village leaders, a mayordomo and friend of our host family. He saw that we were supportive of the cultural norms and stayed to talk and have lunch with us. We were not a rowdy group! The large kitchen space where we had lunch, the traditional outbuilding where the expoventa (show/sale) was held, and some of the surrounding cottages, were all constructed with waddle and daub. This is different from adobe bricks. It is a great insulator, keeping the house warm in winter and cool in summer. The only problem was the ventilation from the smoke, which rose to the ceiling in billows but didn’t escape readily from the open areas near the rafters. In some villages, NGOs are working with locals to create better vents so they don’t breathe the wood smoke and develop lung disease. 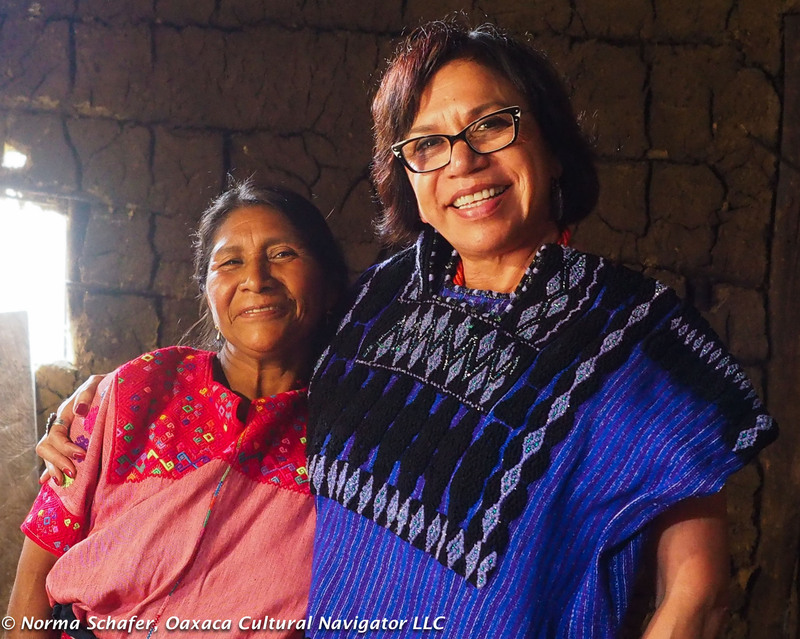 Magdalena Aldama is about ten minutes further from San Andres Larrainzar, another amazing weaving village, much larger than Magdalena. There seems to be some crossover in stitching and fashion, though for the most part women like to identify with where they are born and live by their costume. 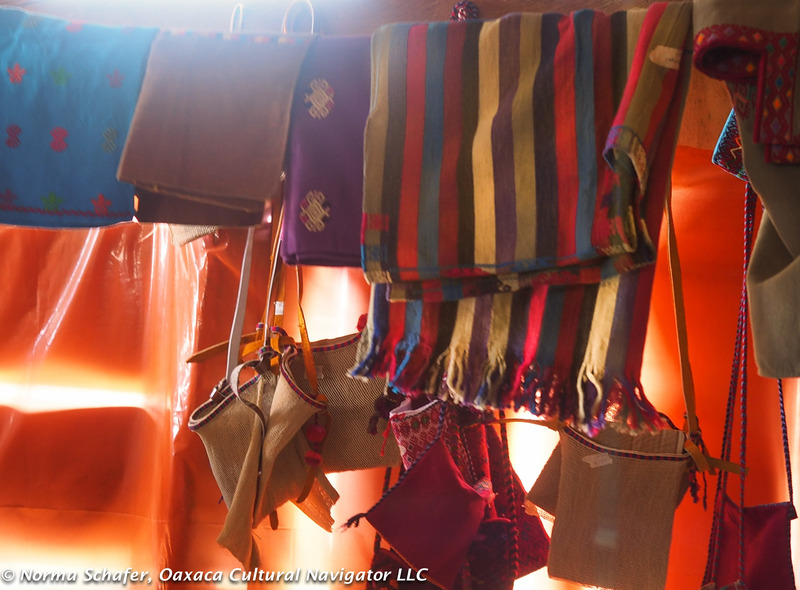 The finely woven mesh bags you see below are hand-woven from ixtle, the washed, pounded and softened fiber of the agave cactus leaf. The finer and smaller the bag, the more costly. The shoulder straps are soft leather. Sometimes they are finished with colorful woven edging. We love them and bought lots! Often, the difficulty for western women is to find a garment large enough to fit us. 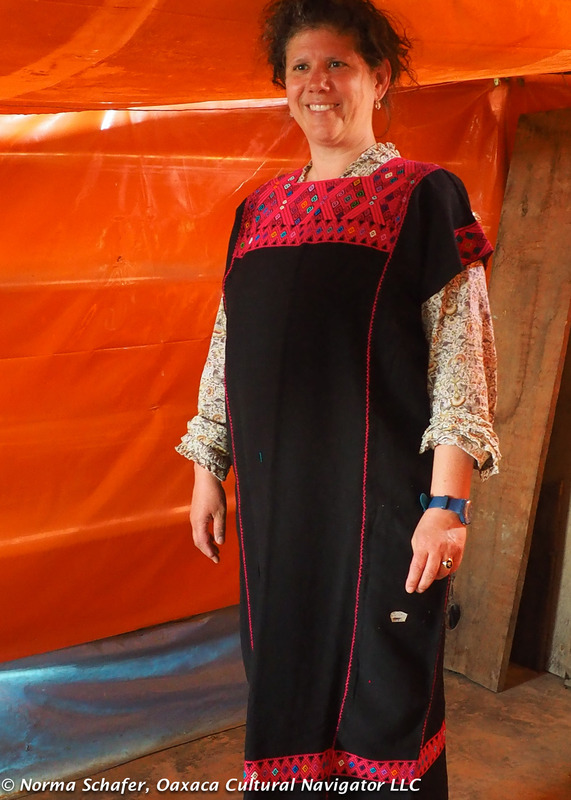 The width here is as wide as the loom, but the arm holes and necklines can be small. So small, we can’t get the blouse over our heads or arms through the sleeves. Here, it wasn’t a problem! They knew we were coming! 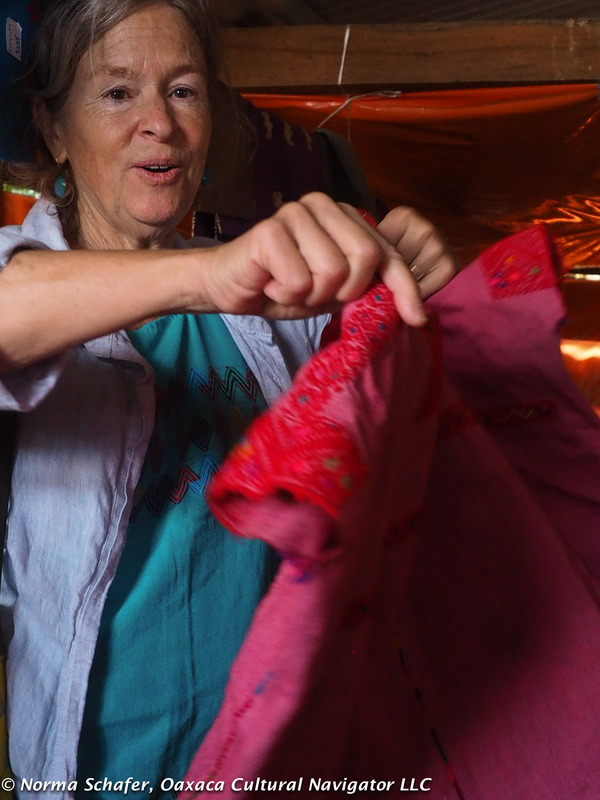 Rosa holds up one her group’s fine blouses. They sold out! 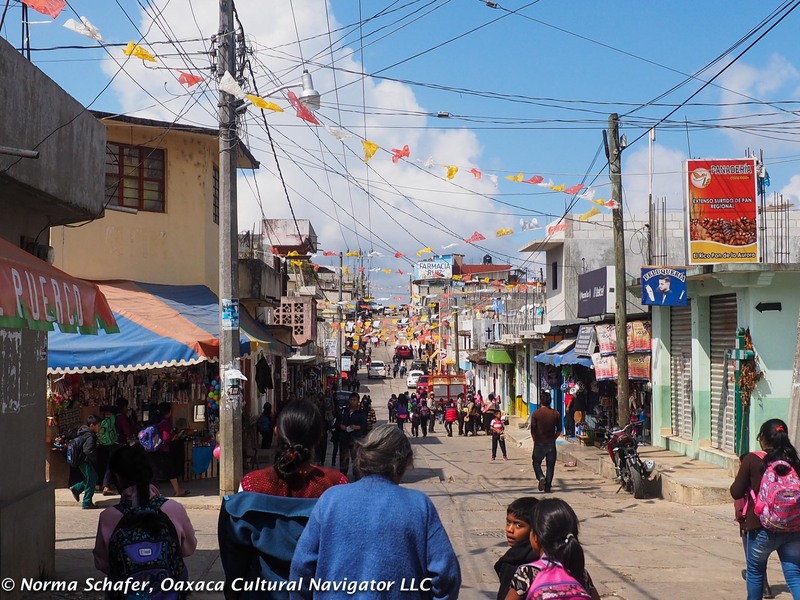 On our way back to San Cristobal de las Casas, we made a quick stop in Larrainzar to check out the street scene. On the way, we passed a family of sheep herders. 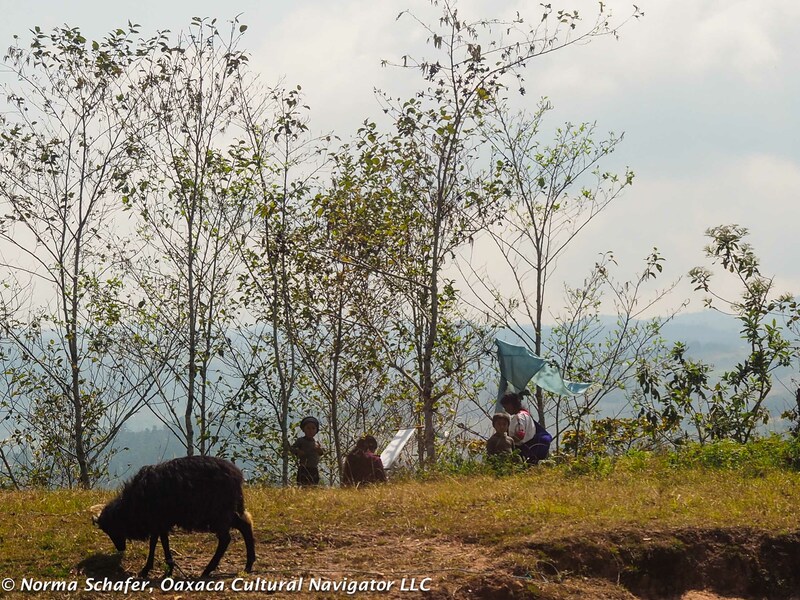 While the animals grazed, the women tied their looms to the trees. No one here is idle. Looms tied to trees. Always something to weave. 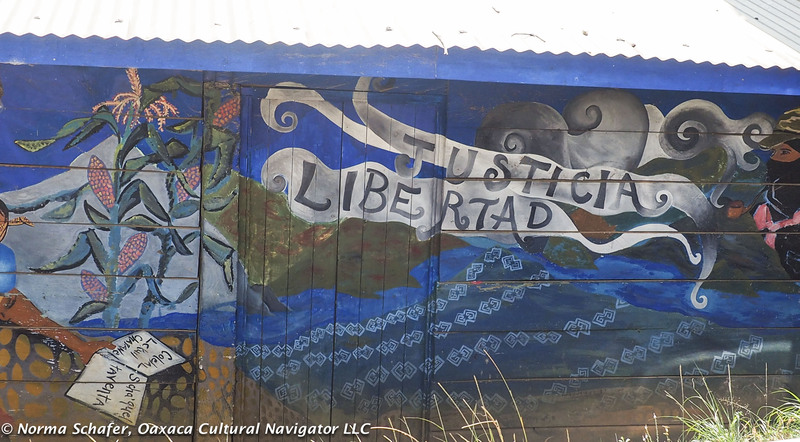 In San Andres Larrainzar, we stopped at a commercial cooperative outside of town. I was disappointed in the quality and offerings, though a few of us managed to find a treasure. It’s best to find a private group! San Andres Larrainzar main street. Hard to find a huipil for sale here. 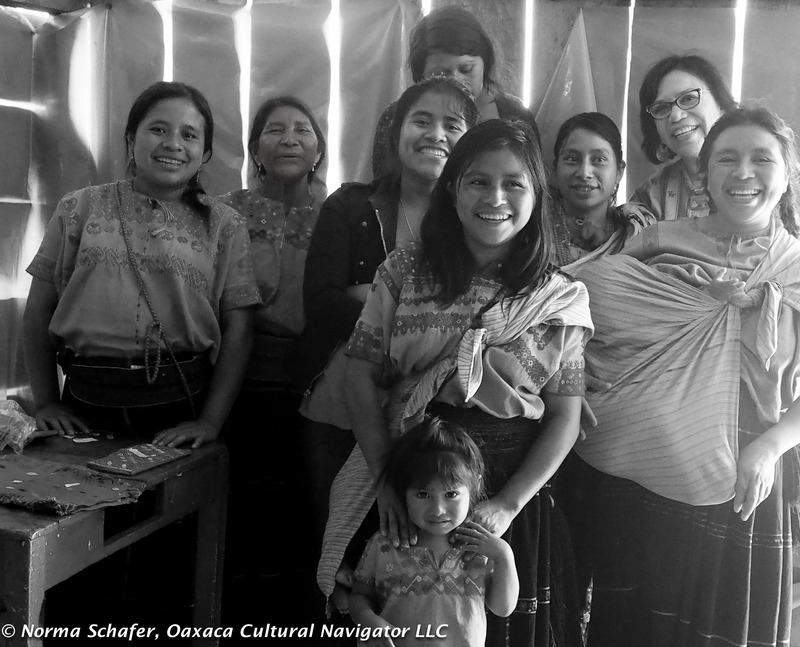 Local women buy the embroidered bodice pieces and then stitch their own cotton or poplin (cotton/poly blend) to make the complete blouse. They like the polyester because it dries much faster. So, it’s getting more difficult to find a pure cotton garment. 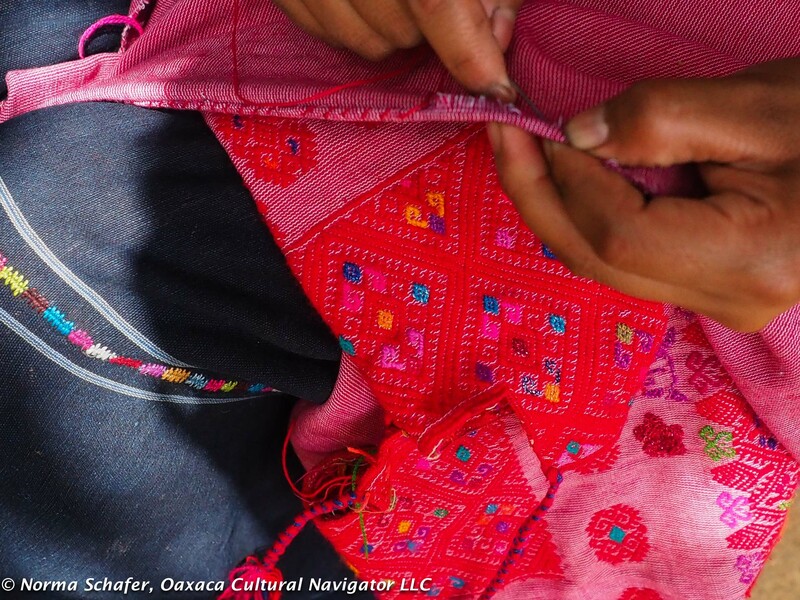 The embroidered pieces cost 1,000 to 1,500 pesos before being made into the blouse. Embroidered blouse pieces, Larrainzar. White area is for head opening. 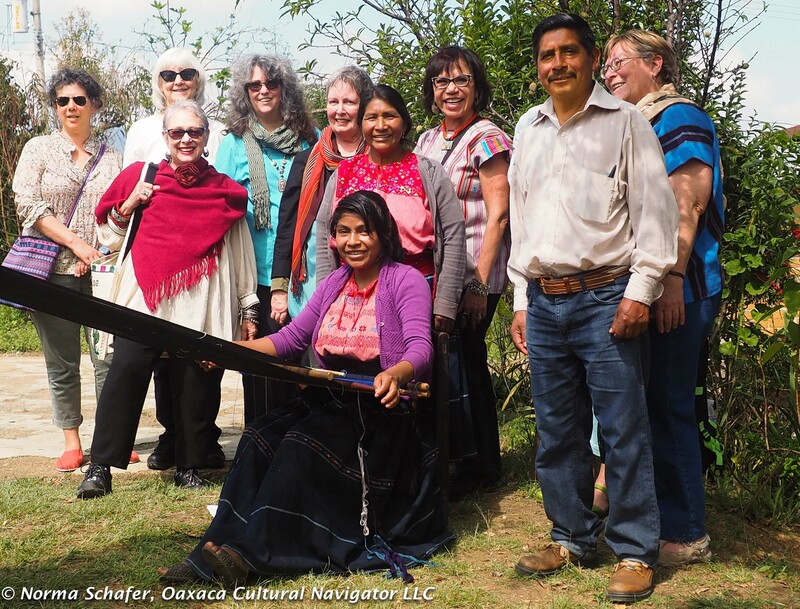 Back in San Cristobal, I wore the Magdalena Aldama blouse I bought from Rosa and Cristobal on the following day. People stopped me. Where did you find that? I told them. 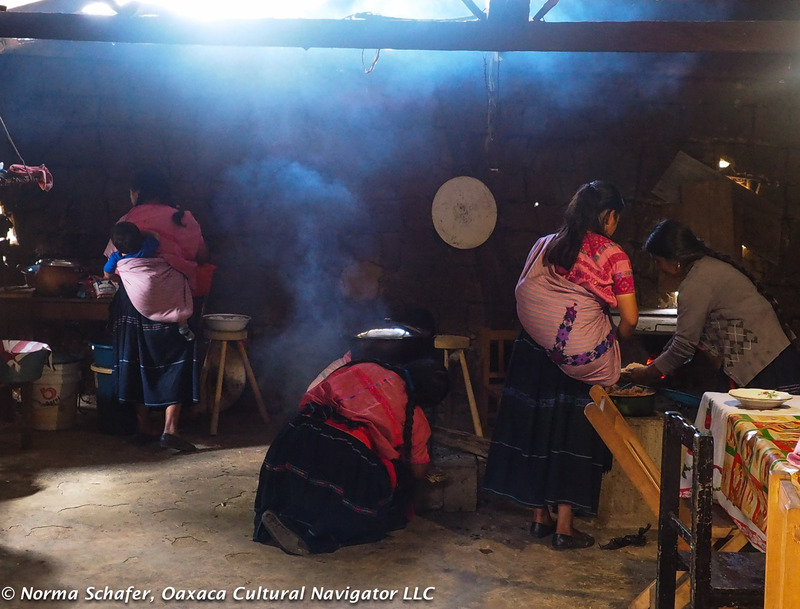 I visited a local Mayan coop and the manager said, “We don’t carry anything that fine. It’s hard to find and too expensive.” Well, not really. Not for us at the current exchange rate! The weaving group in black and white. Making a trip into the village to meet the family, share a meal and support their work was one of the highlights of this trip. We are going to offer this again at the end of February 2018. Contact me if you are interested and I’ll put you on the list to let you know dates and cost. This study tour will be limited to 9 people maximum! Games little boys play, in the doorway to the kitchen. 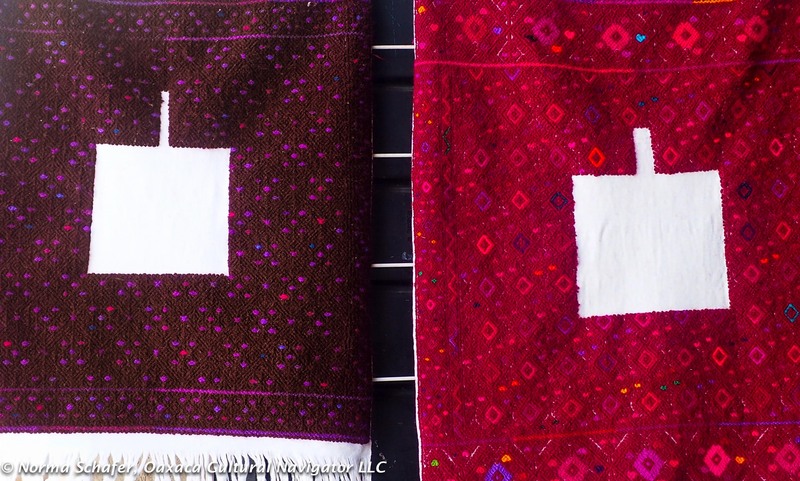 This entry was posted in Chiapas, Cultural Commentary, Photography, Textiles, Tapestries & Weaving, Travel & Tourism, Workshops and Retreats and tagged Chiapas, Embroidery, loom, Magdalena Aldama, photogrphy, photos, San Andres Larrainzer, San Cristobal de las Casas, study tour, travel, weaving. Bookmark the permalink. Hola Norma , how are you ? 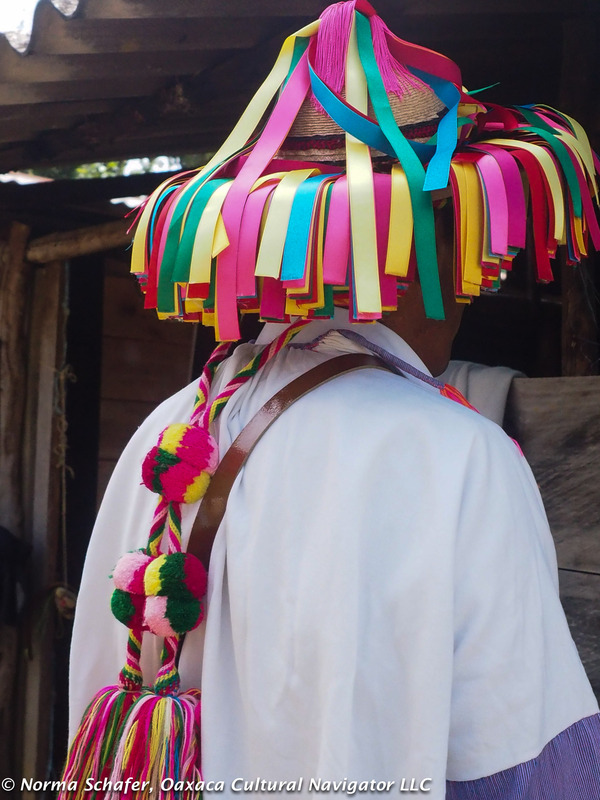 I am a huge fan of the woven bags of chiapas . I am living in Mexico now and currently stay in Yucatan . I would love to go to the source where they make the bags and also purchase like 30-40 pieces at a reasonable price . I am very flexible in my schedule and can come over any time . Let me know how to connect ! Dominik, go to the coop Huellas de Transcienden. 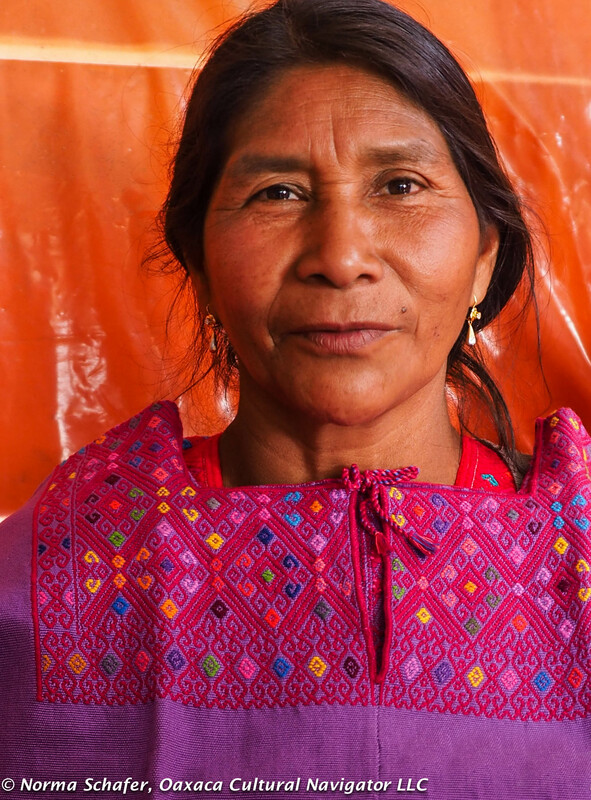 They work directly with artisans and take no commission. They can help you. Would you kindly put me on your list for the 2018 trips? I am very interested. Thank you! Thanks for the correction, Karen. I’ve made the change! Kristine, I’d be glad to. How would your husband feel about being the only man among many women who are collectors? Beautiful. I do hope you all paid them VERY WELL, and not just the “asking” price, because unfortunately they do not sell their top quality work at proper prices, and foreign visitors easily inadvertently at times, take advantage. I speak from years of experience with such “visits”. Claire, thank you for your comments. Yes, fair pay is important for fine handmade clothing. Everyone who sold was very happy, as were all who were able to buy such beautiful pieces. toward the end of next week (I’ve been studying and traveling for two months), and would like to meet you , say hello and do your one day study tour. I am available on the 14th, perhaps sooner! Will send you an email when I can be more definite as to the date. Looking forward to my introduction to Oaxaca. Super! You are on the list, Mariann. Let me know about the Magdelena trip next year. Please put my name on the list for your 2018 visit. You are on the list, Linda! What a fantastic opportunity! Thanks for sharing the highlights, Norma. Norma, I definitely want to go on this trip next February! Sorry I could not go this year. Please keep me posted! Hi, Sylvia, it would be a delight! Ellen, I would love to have you join us! Please put me on your list for the February 2018 trip.